Adults, children and babies all perform some form of the bodyweight exercise the push-up. Whether it be adults in the military doing push-ups as a form of physical training or babies simply doing a push-up do get up from the ground after they have fallen over trying to walk. The difference between each group are their physical and technical capabilities to perform the exercise. Babies struggle with the push-up because they have yet to develop the neurological abilities and muscular strength to perform the movement. Children may have some of the neurological development to perform the exercise, but not the strength. 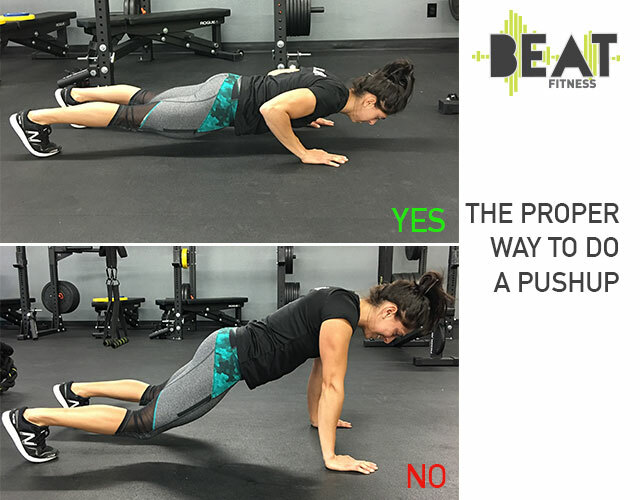 Adults SHOULD be neurologically developed and have the muscular strength to perform a push-up, but it seems as adults age and become older adults they begin to lose neurological capabilities and strength to perform the movement. This has led to many injuries as well as deaths in the older adult population because they fall and cannot push their body weight back up to a standing position. We spend so much type developing and growing our bodies then let it regress as we age which leads to losing our sense of living empowered. You might not be able to continue training or exercising as much and hard at 50 compared to when you were 18, but that DOES NOT mean you should stop! Instead that means you begin training SMARTER and if you start training SMART now, later down the road you may still be able to train or exercise at a level that prevents REGRESSION!